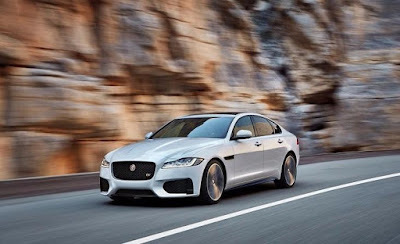 Latest News: Jaguar has launched second Generation Jaguar XF on September 21, 2016. 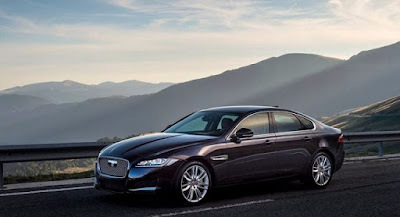 The second-generation XF will come in a total of three levels – Pure, Prestige and Portfolio. While the Pure trim will be available with a 2.0-litre diesel powertrain, the Prestige and Portfolio trims will be packed with a 2.0-litre petrol engine. Car reachs to 0 - 100 kmph in just 8.1 sec. 2.0-litre, 4-cylinder Diesel (Pure) 177bhp 430Nm 8.1 sec. The new Jaguar XF is based on a lighter aluminium iQ architecture. This makes the car 190 kgs lighter than the current generation. With 28% improved rigidity, the new XF will be more robust and better to drive. The overall length of the car has reduced, while the wheelbase has been stretched by 51mm. The car receives a larger mesh grille, contoured bonnet, bigger air intakes, revised fender vent, sharp shoulder line, boot-lid spoiler and dual exhaust pipes. The top-spec Portfolio variant exclusively offered with LED headlights and 18-inch alloy wheels, while XF variant gets bi-functional xenon headlamps and 17-inch alloy wheels.